When Google opened his cloud, Python has been one of the 3 first languages proposed. NASA use it for his website. Odoo use it for web applications. Data Scientists are starting to substitute R by Python with library like ElasticSearch. Easy to learn, he has been selected by the French national education and can be teached at High School. Whatever you want to do, you will find adapted library to help you. The only limit is your imagination. Philippe fall into informatics at 11 years old, after reading an article about Turing machine and the purchase of a programmable calculator. At high school, he was selling his programs to the other student. He knows he will make his passion his work. After an Engineer Degree of ENSEEIHT and a DEA in fundamental computer science and parallelism, he always questioned himself and never hesitate to go outside of comfort zone to discover new job: from CAO to numeric simulation (car crash test) to on-board computing, then joining the ruthless world of financial banks. Several crisis after, Philippe is still evolving in this domain that allow him to work with the last tools, challenging himself technically, and purpose innovative solutions. 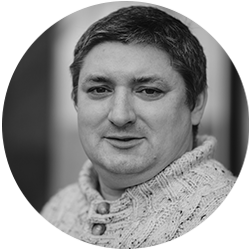 He joined Invivoo in 2017 to develop both Expertises “Programming Python” and “Programming C++”. His objective: Integrate a quant team.